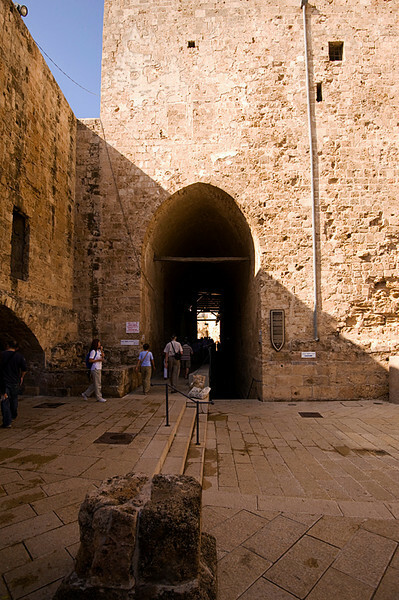 Akko Crusader Castle - Entrance to the Knights Halls complex. The tower building, dated to the 17/18th Ottoman period, was built over the ruins of the Crusaders fortress. Straight through the tower gate is the entrance to the Great Hall.